The first thing to note here is the belief Tamil warriors that they would reach the Heaven after death if they die by sword in the war.This kind of belief seem to have existed in the Tamil Sangam era(1-3AD). I will quote some poems here which reflect this idea. பெருந் தகை! விழுப் புண் பட்ட மாறே. திணை வாகை; துறை அரச வாகை. அவன் பொருது புண்பட்டு நின்றோனை அவர் பாடியது. advancing as the strong-thronged drum roars out? to purge them of their evil. as it trickled into their mouth. Auvaiyar sings of Atiyaman Netuman Anci when he fought and received a wound. As the above poem mentions, the ancient Tamils believed that a person who died in a battle would go to a heavenly world. So every king preferred to die fighting in a battle. The kings who died naturally or due to sickness were cut by swords before they were cremated. This is because the Kings have fought enough battles to get this honor. It was a honor to die by sword. A warrior attains his salvation when killed in a battle. திணை பொதுவியல்; துறை முதுமொழிக் காஞ்சி. friends who are not friends? As the above poem says the children who are born dead or die as an infant were cut by sword and given a warrior’s death. Though this might look like an act of barbarism to many but according to the Ancient Tamils they didn’t want to deny the child of the heavenly world that a warrior who was killed in the battle goes to. The child never had a chance to prove its valor and hence they performed this ritual even on the infants. People who have fame spreading through out this world need no ceremony like this since they have already booked a place in the heavenly paradise. Another point that should be noted here is that memorial stones in honor of warriors who died in battle were also laid. This Hero stone(natukkal) was considered to have certain powers and hence people worshiped these hero stones. According to George L. Hart, some ritualistic attributes of the Natukkal was later passed on to the Linga worship of southern Hinduism. Kannadasan who is well versed in Sangam Literature brings it out in this dialogue. In one of my earlier post I have written about another venture of Kannadasan ‘ Manathi Mannan’ a MGR film which was based on set of poems and a legend from the Sangam Literature. And Vairamuthu has also included one of the most famous Sangam poems in Narumugaye song in this movie. Please visit my ‘Red earth and puring rain’ blog for the poem and the movie clip. Very well done vairam. There is also a lengthy dialogue in the film Iruvar – where the practise of putting a still born to the sword before burying it is recited. I am worried to see wby is the concept of natukkal and siva lingam worship is linked here. Kindly help me understand if I am wrongly understood. 1. Vedic Hinduism was prevalent during Sangam period but was not the most popular religion. Jainism and Bhuddism was also prevalent along with Ingenious religion of the Tamils with Village gods. 2. There are poems in Sangam literature to show this difference… the Tamils followed a code called Maram and the Brahmins and Vedic religion followed a code called Aram. Please read my Rama vs Ravana Blog. 3.I am not saying that Natukkal got transformed as Lingam worship, rather I have said some rituals which were performed on the Natukkal was later transferred to Lingam worship also. 4. Though there are some references about Shiva and Parvathi in Sangam literature (the old ones) the most popular god of Sangam age seems to be Murugan who has different attributes than the present Subramaniya- Muruga. Please see my Murugan – Aryan or Dravidian Deity blog. 5. Hinduism didn’t grow in Isolation. It is amalgamation of various faiths and practices. Some practices of the hero worship has also got into Hinduism. 6. 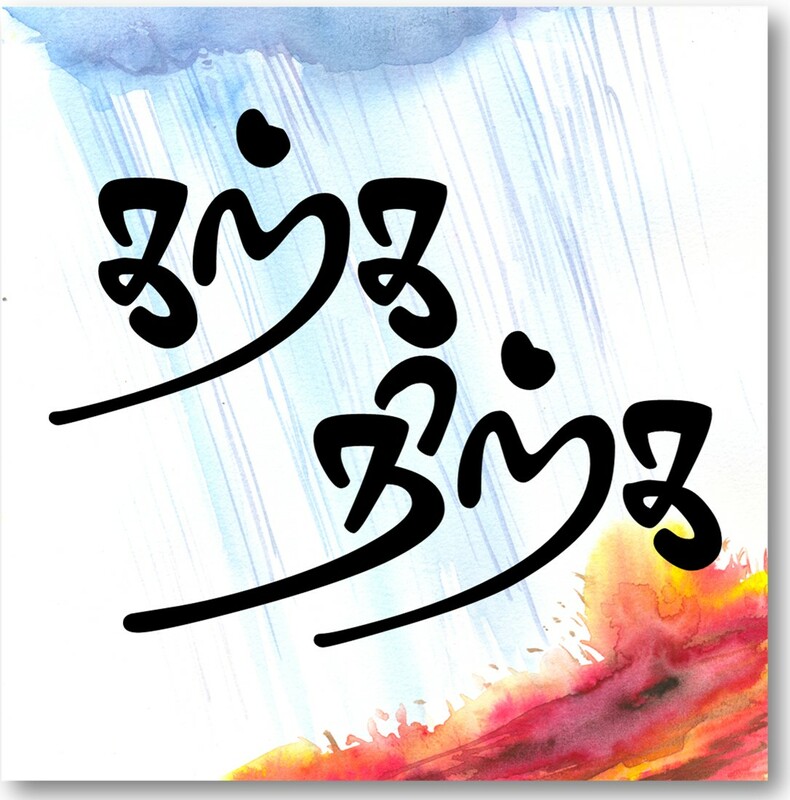 The basic philosophy of Bakthi literature itself is inspired from Sangam akam poems. This is indicated by Dr.Kannan in his guest blog. 7. Thennattudaya Sivane potri is poem in Thiruvasagam which was written at least 400 years after the Sangam Literature was written. Thats Really great of you for taking time and clarifying things to me. You have specified Thiruvasagam is written 400 years after sangam…though I feel that the words of Adiyaars like Manickavaasagar are words of Shiva itself, we have the difference in discussing the subject.My doubt is that Agathiyar comes in all the Era of the Thamizh literature and there is a belief that he is sent by sivam. If we are talking about the different forms and its origins then yes you are perfectly right. Otherwise who can exactly say about the Murugan form and any other form. But I should comment this..this blog is greatly useful to widen the knowledge. Thanks. I am not commenting here about the words of manikavasagar, rather Time period and environment. During Manikavasagar period Vedic Hinduism (Shaiva and Vaishanava) had become the most popular religion unlike the Sangam Age. My style when writing about religion would usually be to analyze the events and causes for the events. My essays wont have any philosophical intent to it. My essay are basically a historical interpretation. Agathiyar is one of the most interesting characters in Tamil literature like Nakkirar and Auvaiyar. There are atleast minimum three Auvaiyars in Tamil Literature , some Tamil Literature experts go on to say there were as many as 17 Auvaiyars. Please see my How many Auvaiyars essay. I would soon try to post a essay on Agathiyar. If you see the Herostones of the later period to what you have shone above, we clearly see three or four panels on the Herostone. The bottom one or two are in relation to the actual incident of cause of death of the hero like war, cattle raid, protecting women and children etc. the upper two show the hero being carried by “Apsaras” and the top most shows hero worshiping the Lingam, at times the Nandi is also shown in squatting position. The general belief of Lord Shiva being the god of death. Hi there, You have done an excellent job. I will definitely digg itt and personally suggest to my friends. I’m sjre they will be benefited from this web site.